You can always rely on Melda Production when it comes to free software, and their most recent addition comes in the form of the MConvolutionEZ, an "easy-to-use, highly optimised convolution reverb". 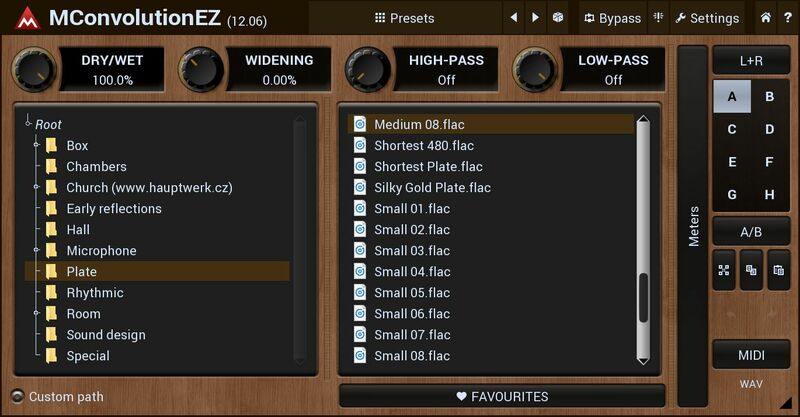 Pre-loaded with loads of impulse responses for rooms, halls, plates, guitar cabinets and effects, MConvolutionEZ can be used for a range of audio production tasks, especially as it supports not only mono, stereo signals, but mid/side encoding too. The GUI is freely resizable and can be stylised to suit your preferences, from choosing between your most used knobs, sliders and buttons, to tweaking the appearance to suit the style of music you're mixing. MConvolutionEZ is available for both Mac and PC and can be downloaded for free from the link below.